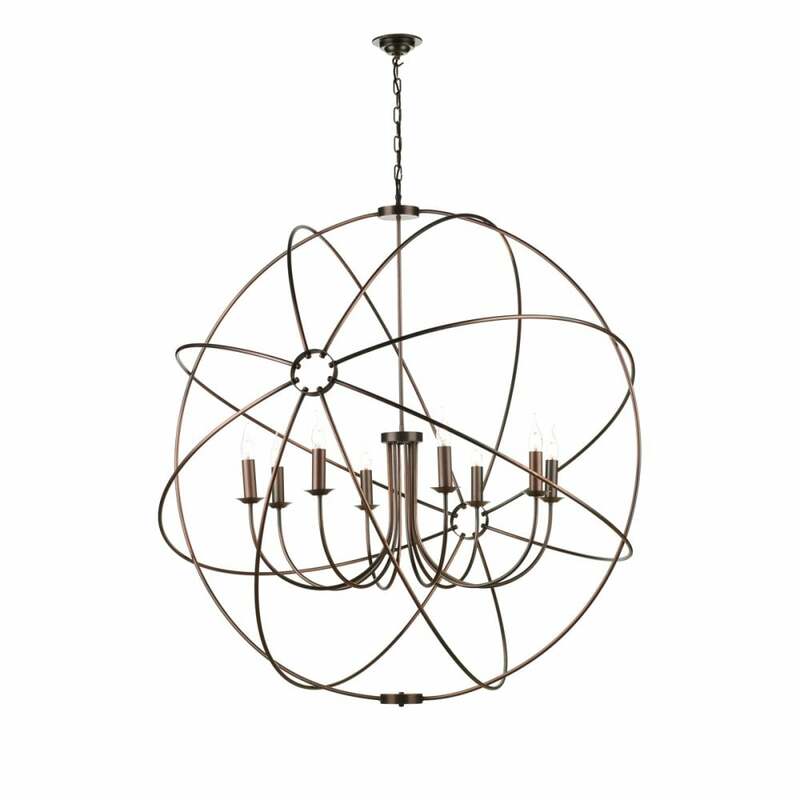 A beautiful British made rustic 8 light ceiling pendant with a dramatic gyroscope design in a rich antique copper finish. Perfect for barn conversions and period properties, this would look great over a dining room table or in a long drop stairwell. The chain suspension can be height adjusted at the point of installation. This light can be supplied with longer chain if needed, please contact us for details.